Amid a modest economic growth projection, there arrives some good news for the rich in Singapore. According to the latest figures published by Forbes Asia, Singapore’s 40 richest individuals collectively are worth US$59.4 billion, representing a 9% year-on-year increase in wealth. Singapore company formation specialist Rikvin is optimistic that the presence of high net worth individuals (HNWIs) bode well for businesses in Singapore. In Forbes’ list, Mr. Robert and Mr. Philip Ng, owners of the Far East Organization retain their top ranking with an estimated net worth of US$9.2 billion. 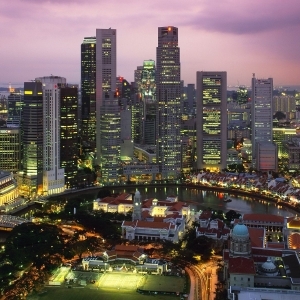 In addition, the five richest individuals in Singapore have remained unchanged. However, the list features eight newcomers, 5 of which have made their fortune in property. The most notable addition to Singapore’s list is the 30-year-old Facebook co-founder, Mr. Eduardo Saverin, who was ranked eighth with a net worth of US$2.2 billion. Another newcomer, India-born and new Singaporean citizen Mr. Bhupendra Kumar, the owner of Spice Group, was ranked number 23 with an estimated wealth of US$755 million. Budget hotel chain chiefs – Hotel 81’s owner Mr. Choo Chong Ngen, along with Fragrance Hotel owner Koh Wee Meng also made it to the list at 25th and 15th place respectively. They each possess an estimated fortune of US$690 million and S$1.25 billion respectively. “The wealth earned by many of the individuals in Forbes’ list is in part due to Singapore’s keen insistence to maintain a fertile business ecosystem as well as its open door immigration policy to high calibre professionals and investors. As demonstrated in the list, investors are an invaluable asset and part and parcel of maintaining a competitive economy. This is in part why Singapore has been making a concerted effort in courting and retaining investors and HNWIs through various schemes,” said Mr. Satish Bakhda, Head of Rikvin’s Operations. Particularly for investors or HNWIs, there is the Global Investor Program (GIP), which aims to attract investors to incorporate a Singapore company by providing them a green channel entry. A minimum of 3-years of entrepreneurial and business track record. Audited financial statements of your company for the last 3 years are also required. Other sectors: Most recent annual turnover must be at least S$50 million, and an average of S$50 million annually for the last 3 years. One may submit financial statements of the company with the highest turnover or consolidate the financial statements of various businesses to meet the minimum turnover criteria. Privately-owned companies: Have minimum 30% shareholding in the company. Must also demonstrate role in the company, as well as the growth and profitability of your company or companies. The GIP offers two investment options including investing at least S$2.5 million in either a new business or expanding an existing business, or investing at least S$2.5 million in a GIP- approved fund that invests in Singapore-based companies. “When successful entrepreneurs such as Mr. Saverin and Mr. Kumar make Singapore their home using GIP, they conduct business in the republic, invest in local start-ups and generate employment for Singaporeans,” added Mr. Bakhda. For example, after shifting his base to Singapore in 2009, Saverin has invested in a Singapore-based company Anideo, which is known for its video-streaming application Denso. He also has also invested in Perx, a Singapore-based loyalty card mobile application. “Our analysis reveals that the GIP has been very successful in increasing the economic pie for everyone in Singapore. When foreign entrepreneurs relocate to Singapore, they bring on board niche-skilled employees and team members via the Singapore work visa. Secondly, their success stories propel other entrepreneurs to follow suit and shift to Singapore, and this in turn benefits our economy,” concluded Mr. Bakhda.